Scott Pye was back in the #80 ekol RacingHolden Commodore today for a quick shakedown at Holden’s proving ground in LangLang. After the team was unable to prepare thecar in time for a test day on Monday, Lucas Dumbrell Motorsport was grantedspecial permission to run at the proving ground to ensure the car was inworking order ahead of next weekend's Chill Perth 360. “It was only an hour shakedown... We had aquick run this morning to make sure everything’s ok after the shunt,” Pye said. “The car’s really good, everything’s likebrand new and it was nice to get back out there and do some laps. It feels likean eternity since I’ve been in the car and it’s run smoothly. “The guys have done such a good job andwith the help of the Kellys (Nissan Motorsport) it’s been possible. 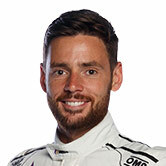 However, Pye was critical of the schedulingof the 2013 V8 Supercars Championship calendar, with back-to-back events forjust the second and third Championship meetings. With teams running the new Car of theFuture, the option to use a spare car after an accident is non-existent and LDMhad trouble getting its hands on parts required. 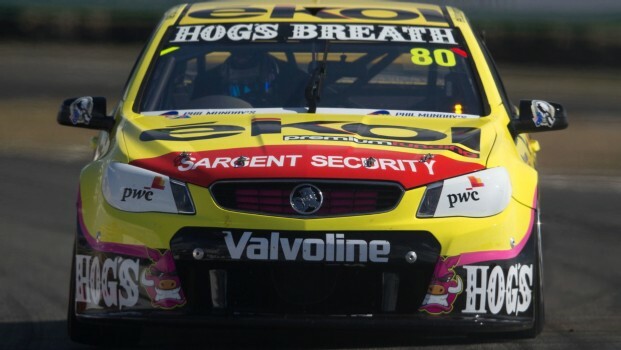 “It’s been difficult this year with Car ofthe Future coming in – no one is prepared for a big accident and we don’t havespares at hand,” Pye said. “That’s been the most disappointing thingabout this – the back-to-back rounds really hurt us. “To me it doesn’t make any sense we hadthat. "And missing the test Monday was just because the parts weren’t ready andyou can’t rush those things... Missing the test day was frustrating – witha new car there’s a lot of development to do and a test day would have beenhandy, but we’re very lucky we have been allowed to do this shakedown, and we have the test day to use later." Team Manager Lucas Dumbrell said heunderstood the need for back-to-back scheduling and supported it where it wouldbe advantageous. “Sometimes you’re forced into theback-to-back events because we have to suit the location we go to – thecouncil or for New Zealand, the country – and I appreciate that sometimeswe have to do it,” Dumbrell said. “But we should work as hard as we can totry to avoid back-to-back. While in the past Clipsal and thenon-Championship grand prix event have run over consecutive weekends, Dumbrellsaid the distances made that easier than turning around from Tasmania to New Zealand. “I support back-to-back if we’re in Americaand race in Mexico the next weekend because there’s good reason – we’realready halfway across the world. “I’m sure there were reasons for thisscheduling, but we should try to avoid it because it creates excess costs toteams. “Even if it wasn’t a new car and we used aspare chassis, we’d still outlay extra cost – ‘express’ fees – to hurry stuffwe wouldn’t otherwise have to. Dumbrell was happy with the shakedown andsaid the team was going over the car with a fine-tooth comb and straighteningsome panels before packing the car to leave for Perth on Sunday morning. Pye is confident coming in to Perth afterhaving had a Development Series win there and is keen to get back in thebattles on track. “I’vehad plenty of accidents unfortunately, some big ones in Formula Ford, and it’sjust a risk you take. I knew there was a risk something could go wrong with thecar, but I was willing to take it and I’ll be willing to take it again,” Pyesaid.